Compass H2O | Ephemeral Wayfinding. 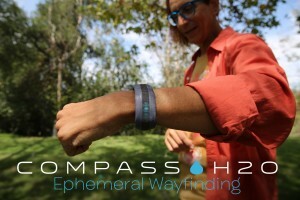 Why is it called Compass H2O? Joseph Kan, Glenn Zucman, Susan Zhang & Vivia Liu. Photo by Sharon Gong. Susan, Vivia, Joseph, Sharon & I metup in the Art Center College of Design (main campus) Cafatera from about noon-6p today to work on our presentation for WearableTechLA on Thursday. We weren’t able to reconsider our hardware solution, but we did take the opportunity to consider the Extreme Wearable Designathon Judge’s advice to move past the Find Water use case, and think more about Wayfinding. Joseph, Susan, Vivia, Sharon & I metup at Art Center (main campus) today and worked on our WearableTechLA presentation from about Noon – 6pm. A scenario we developed was Walking New York City with Andy Warhol. The Silver Factory where he was shot… Max’s Kansas City where his relationship with Edie Sedgwick ended… the street where he ran in to Keith Haring chalking on the asphalt. If you’re looking for a place here on earth, or up in the heavens, Stonehenge cannot begin to compete with Google Maps. Problem: The Google map doesn’t work in small scope. For example, the Google map can’t guide you the route in a mall when you want to find a specific store. It is troublesome to refer to signs and still maps in the mall. This case can also apply to hospital, Disneyland, botanical garden, a trade show etc. Simband Open Reference Sensor Module from Samsung on Vimeo. Last night, a friend from out of town commented on his disorientation when exiting subway stations in New York City. Which way is North? It always takes a minute or two (or more) to find a street sign, landmark, or other orienting information. In some cases it means walking a whole city block to find out you’re heading in the wrong direction. I’ve lived here for 15 years and I’m still disoriented at far-flung exits where the streets all have names and no numbers. The true luxury today is 15 minutes of anonymity. An Emotional Compass from salvatore iaconesi on Vimeo. This is a really interesting idea. Some years back I worked with art students at a high school in Irvine, CA. I had them draw cognitive maps of their campus and other projective drawings. Each was so compelling and so very different. One student drew, in excruciating detail, every sink and table in the art building, the other nearby arts buildings in lesser detail, and the entire rest of the campus was simply a circle labeled all the rest. Maps like these will never be as useful as a Google Map for getting from Point A to Point B. But Google Maps are heartless. They might take you to someone or something you love, but the route itself is banal. 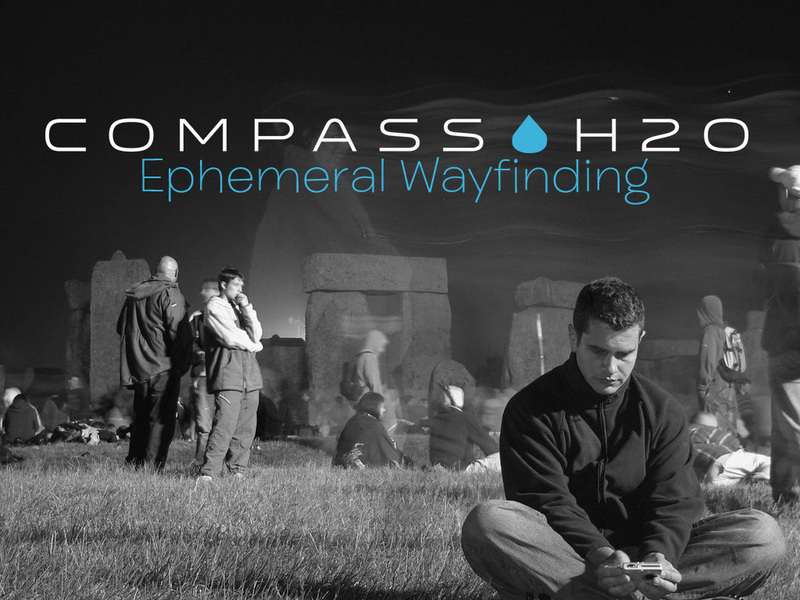 Emotional Compass, Social Wayfinding, Cognitive Maps, and my new term for today, Ephemeral Wayfinding are all about making not better, but more meaningful and more deeply immersive journeys. Journeys that are, perhaps, more about the road than the destination. In the children’s game “warmer – cooler” the seeker receives feedback after every step or two. Using constant feedback as a guide, the seeker begins to converge on the object of her quest, without prior knowledge of her destination. Our lives are dominated by the relentless need to get From Point A to Point B. It’s necessary in a fast-paced, deadline-driven world. But it’s both unhealthy and unsatisfying to never stop and smell the roses. Ephemeral Wayfinding is an invitation to wander, to linger, to loiter, to be a 21st century flâneur. • You may attend the conference all day. I was poking around Sangli Li’s website, the photographer & MDP student who shot our XWD pix. 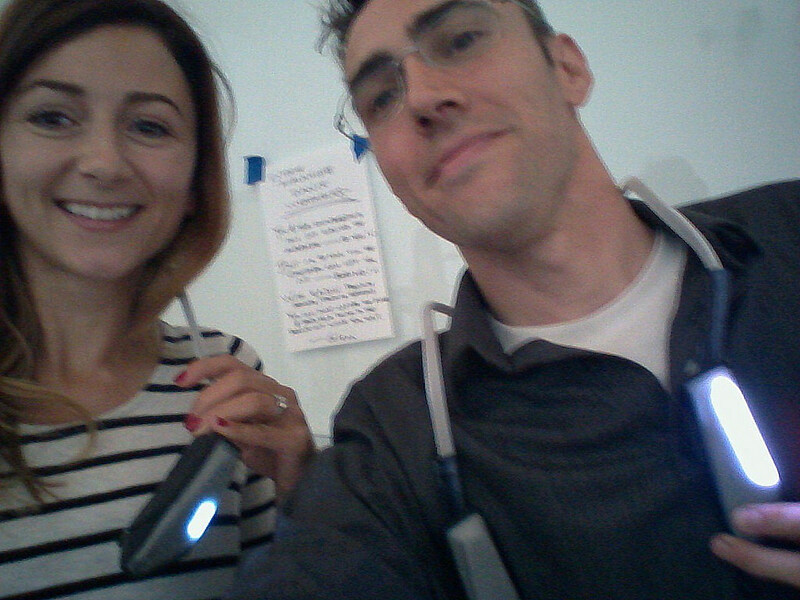 While we’ve been so serious with Extreme Wearables, he’s been having whimsical fun working on Expressive Wearables. And you definitely can’t do that with a phone! 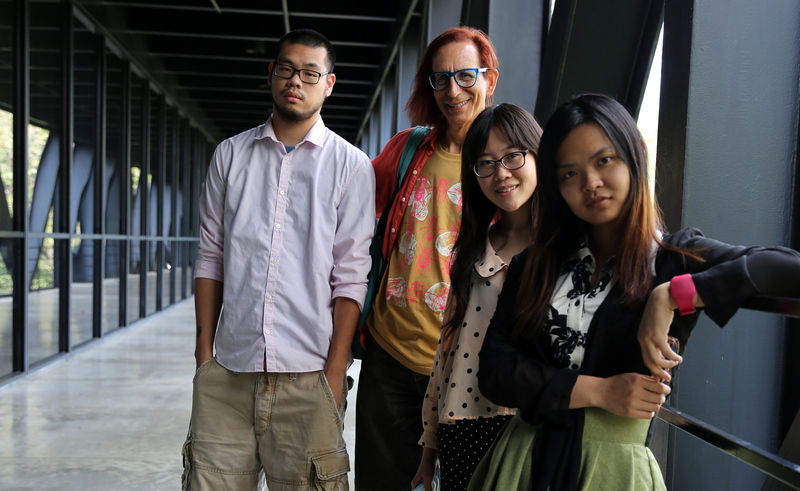 Art Center MFA candidate Sangli Li came by XWD on Sunday and took some nice photos of the teams and the judging. Here are a few of them, used with the kind permission of Courtney Peterson / MDP / Art Center. You can see all of Li’s work on Flickr. One of the experts helping us at XWD was Carlyn Maw of Crashspace, and the Crashspace blog has a new article on XWD with info and some links to the 2nd place Alia team’s materials. You can buy Alia’s electroincs for $196.35 at SparkFun, and you can download Alia’s code for $0 from GitHub.